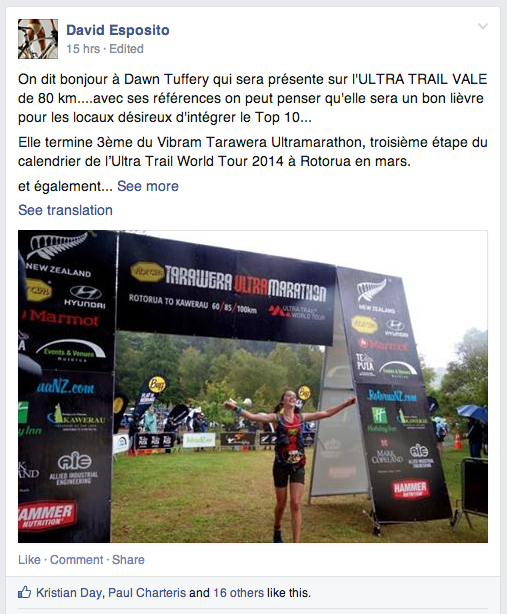 This entry was posted in Training, Uncategorized by RunningTuff. Bookmark the permalink. I’ve been invited too (from Tahiti) and ran with Ruby (behind …far behind) last year on the 50k, made the same wrong turns(!). Ruby running in her fivefingers made the thing a lot more slippery for her, but yeah it’s very sliperry, all people around me in Salomon Sense&Speedcross were ice-skating. By chance, we’ll finish not too long after the sunset. Hi Mara, I look forward to meeting you and running together! 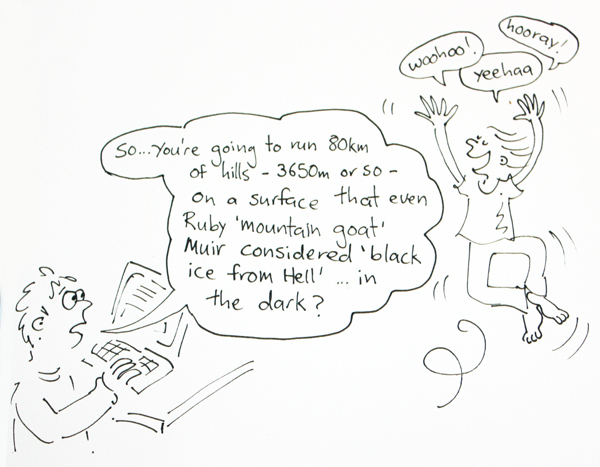 Don’t worry, everyone is usually far behind Ruby ;). See you there!